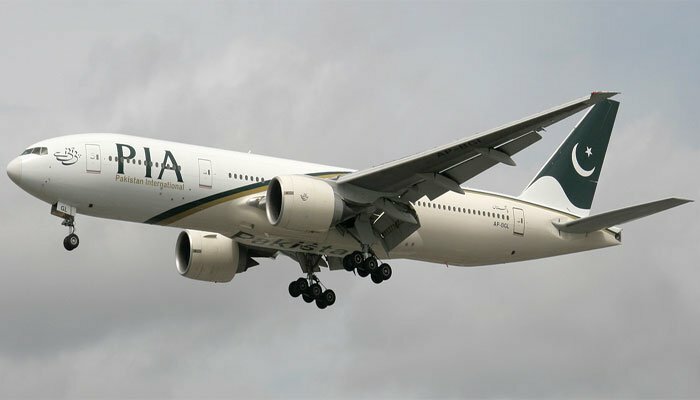 ISLAMABAD: The Economic Coordination Committee of the Cabinet on Tuesday accorded approval for additional guarantees to PIA of Rs 5.6 billion for repair and maintenance of engines and acquisition of related spare parts for operationalizing grounded planes. The ECC in its meeting chaired by the Finance Minister Asad Umar here also approved measures for uplift of the cotton crop in the country. Secretary Ministry of National food Security & Research gave the meeting a detailed presentation on issues and challenges in the cotton sector. Experts in the field of cotton growing who were specially invited to the meeting also gave their input for developing the cotton crop. ECC decided that Ministry of NFS&R will present, within 30 days, a plan for strengthening research and development services for different crops with particular focus on cotton. The Ministry will also submit plan for revitalization of federal institutions tasked with the responsibility of developing the cotton sector. ECC also directed Ministry of NFS&R to expedite efforts for implementing PB Ropes technology to counter the pink bollworm which impedes cotton growth. The meeting directed that Ministry of Industries and Production would take measures for recovery of cotton cess from textile mills so as to give impetus to cotton promotion activities, which are to be funded through the cess. The meeting accorded approval for additional guarantees to PIA of Rs 5.6 billion for repair and maintenance of engines and acquisition of related spare parts for operationalizing grounded planes. The step would strengthen PIA’s route rationalization initiatives and add to revenue generation of the national flag carrier. The Ministry of Maritime Affairs briefed the meeting about various concessions granted to the Gwadar Port and Gwadar Free Zone. ECC directed that BoI, Ministry of Planning, Ministry of Maritime Affairs, Law Division and FBR to review the proposals and revert to the Committee. ECC in consideration of proposal submitted by Petroleum Division gave its consent for the Frontier Oil Company to undertake/implement the Machike -Tarujabba Oil Pipeline project. The project, consisting of three sections i.e. Machike-Chak Pirana, Chak Pirana-rawat and Rwat-Tarujabba, aims at transportation of High Speed Diesel and Motor Spirit. The Ministry of Maritime Affairs briefed the meeting with regard to the location of any new LNG terminals in the country as well as the assessment of requirement for relocation of the existing terminals. The Committee took note of the presentation and directed the relevant Ministries to work out the medium to long term requirement of LNG in the country and present the same to the Committee. Before giving yet another huge subsidy to PIA, awam should know about the business plan and timeline to ROI (return on Investments). PIA and other corporations have been given such support from tax payer money and external debt and they have shown zero progress. The director of PIA has already given several press conferences on your exact questions. How successful he will be, only time will tell. Seems like he has convinced Economic advisory committee that he will be able to turn things around or at least make it less of a loss machine. Awaam has nothing to do with the business plan because 99.99999% awaam neither have the capability to interpret nor the information of context about the business plan. Secondly, business plans are internal confidential strategic documents especially when you are competing with the private sector. Awaam has one tool though. After 4.5 years guage for yourself how much the performance has improved or deteriorated of an enterprise in a 5 yr period and then choose your representatives who vet these plans and issue bailouts accordingly! That's because the PIA was used by Nooras and PPP to employ crooks. They even used it to get treatment in Europe for their arrse lickers. It will be a miracle to make it profitable again, and we wish that it happens. And who employed these 000's of people useless sifarshis, Please do tell? And who is stopping them from being fired? Please do tell? Look at the laws that regulate firing of federal employees . But why have you avoided my question, we need you tell us who hired these people and why? Zero progress because of the corrupt regime of Nawazardari, We have no other choice but to trust. PIA really needs revamping specially in maintenance dept. to improve the quality and to bring back grounded plane in the air. I work for airliner in America and I know the competitiveness in air industry. But why are you so desperate to avoid finding out the truth about who appointed them, does it hit too close too home? The protection given to workers is different to top management as top leadership are on fixed contracts normally 3 or 4 years.